Look around, just about everything we touch is branded, from the coffee we drink and the clothes we wear to the scents we use and the cars we drive, we’re branded, although it’s someone else’s brand. While companies understand that branding is crucial to the face of their business, most people leave that branding up to their company. Your brand is a reflection of you – What do you most enjoy about what you are doing? What are your strengths and weaknesses? What makes you come alive? Perhaps the hardest part about building a personal brand is getting to the core of who we are. Companies go through this all the time – of course when it’s at the company level it certainly doesn’t seem vulnerable. But apply this ‘look into your heart’ tactic and suddenly we strike a nerve. It’s personal, but necessary, it causes use to look at our real selves, not just the image we project to the world. People connect with people not numbers, statistics, or resumes. A good way to get to the core of who you are and what you have to offer is to think about the things that you get lost in – what do you enjoy doing the most that you could do for hours and never even realize it? If you could tell the world one thing about you what would that be? Too hard – ok start with a sentence, then pick out the most relevant terms – these are your core elements – your foundation. If you take the time to lay the foundation first, you’ll have an easier time creating a trustworthy, value based, recognizable brand. In short – contribute to the marketplace. I’m sure you’d agree that it doesn’t matter how much you know if you’r not sharing it. Setting up a blog or a even a website and thinking your in business is far from sharing knowledge. You have to market your brand. This is one of the hardest skills for people to master, simply because it seems like their tooting their own horn, and well yes in a way you are but as Marianne Williamson so succinctly put it: “…as we let our own light shine, we unconsciously give others permission to do the same.” The best way to do this is to start writing blog posts about your area of expertise. Guest blogging is a great way to get your name out there and establish your brand. Don’t like to write? Try shooting a quick video or recording an audio – no need to get super fancy you can do this with your smart phone, iPad, laptop. The idea is to create original content that speaks to your target market. At the very least share articles pertinent to your market, just be sure you add a personal note about the article before you hit share! 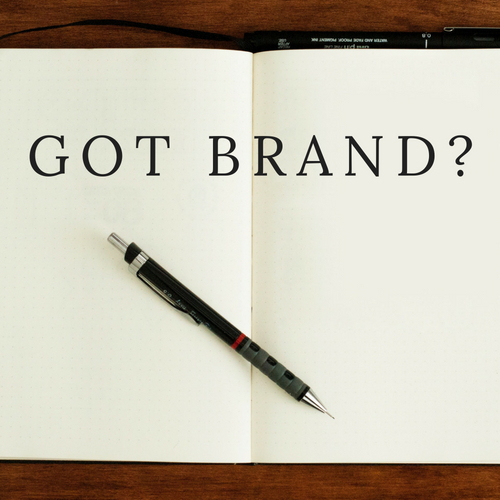 Do you have a website for your personal brand? One of the best ways to rank in search for your name is to build a website. This gives you considerably more control over your online presence than social media. Take a look at your social media profiles, assuming you have some of course! What do your profiles say about you? Are they simply a regurgitation of your resume? Do they show your personality? Are they a true reflection of you? If not, then it’s time to get to work with a little rewrite. The summary is the most important space on your profile page. Choose your words wisely here and you can boost your brand and success. Get creative and define yourself. This is the place where people look to get a glimpse into who you are. Tell your story but keep it short and concise, after all it is a summary. Write in first person, don’t rely on your experience to speak for you. Tell us about yourself , what makes you tick and in your own words. A good rule of thumb; about 250 – 300 words, share a brief overview as to why you do what you do with a call to action at the end. Your brand is far more than a logo, colors or fonts, it’s what you stand for, your values and your value in the marketplace. Everyone of us has a unique set of abilities, passions and potential that motivate us. What do you consider your defining attributes? What differentiates you from others? Take the time to write out your distinct characteristics, take a look at your skills and your passions. Combined, these traits begin to shape your message. When your message has continuity and you share it consistently your voice will be heard and you will establish your personal brand! In order to craft a message with continuity, you must be clear on what you do and why an whom you serve. This seems so simple, of course if your starting a business you must have an idea why and who you are trying to serve. But that is often not the case, for the simple reason that when we are first starting out we often fall prey to other people’s ideas about our business. When that happens, watch out you’ll set yourself back a few years. Take the time to GET CLEAR, understand and develop your business model, only then can you really grow and scale a business, clarity is key and often the missing link in the entire ‘building a business’ equation.